In the direct words of Dr Trilok Kumar Jain, who is currently the director for ecosystem for innovations and entrepreneurship at Suresh Gyan Vihar University. We all need to learn and practice resilience. We all need some training in resilience. There are some among us, who are finding it difficult to adapt to failures in life. Success and failures are two parts of life, which everyone of us face at some point of time. However, there are cases where we find the adults or youth getting frustrated after failures. Due to rising number of nuclear families and reduced interaction in family, there is lesser opportunity to vent out frustration and discuss about failures. Thus, there is a growing impact of failures on us today. Thus training in resilience is required today more than anything else. There is a growing number of suicides among youth, which gives us a hint that the youth and particularly the adults need training in individual resilience. 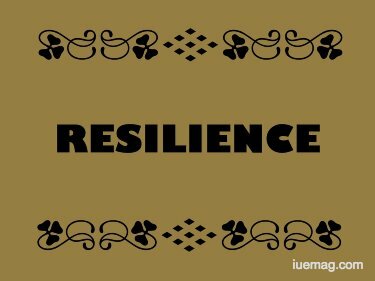 Individual resilience refers to ability of a person to recover and rejuvenate oneself from challenges of life. Life is a natural process of hurdles and achievements. Everyone encounters plenty of occasions, when a person finds it difficult to stand up and rise. There are occasions in life, when a person feels frustrated. There are occasions when failures dominate us. It is at such occasions that one has to recover and re-build one’s courage and appetite for success. Resilience leads to recovery and a fight back. Resilience leads to renewed efforts. However, if there is no resilience, there would be a tendency to commit suicide. Such cases are increasing among the youth. Such cases are responsible for increasing number of instances of suicides among youth. Therefore there is a need to train youth in the art of resilience. “I am improving, and I will be able to perform better in the future. I will be able to have better health, better public relations and would be able to contribute more to the overall benefit of the society”. Such statements would generate a positive thought process in the mind of the person, which would ultimately transform that person. Such exercises would help in the transformation of the person. Such steps should be undertaken on regular basis.